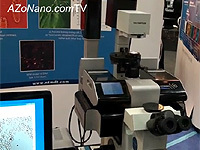 David Faddis from Nanosurf takes us for a tour of their new LensAFM. 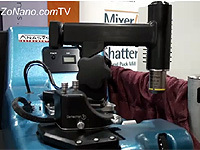 The LensAFM has been designed for users who want to add extra capabilities to their optical microscopes and profilers and is easily adaptable to these systems. 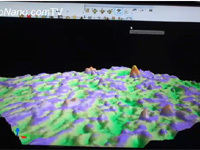 Switching between AFM and optical microscopy/profiler modes is easy as is demonstrated in this video. 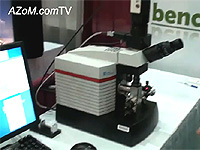 AIST-NT's Alexander Yalovenko shows us their OmegaScope AFM-Raman instrument. 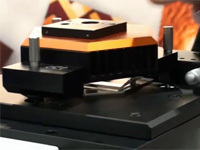 Based on their proven fast scanning Smart-SPM, The OmegaScope includes either single or 3 laser Raman capabilities that can access the sample from the top or side. 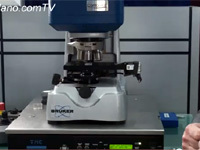 The OmegaScope alsoe featured objectiove lenses up 100x magnification. Stanislav Leesment from NT-MDT shows us their recently released NTEGRA Life AFM System. 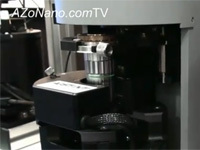 The system has been designed for biological research applications and includes an AFM mounted on an inverted microscope. Images can be obtained by both methods simultaneously. 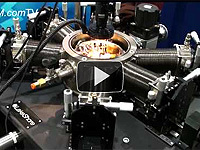 Brad Dodrill takes us for a tour of the Lake Shore Cryotronics cryogenic micromanipulator probe station. 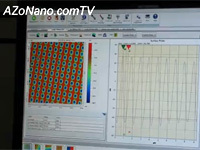 He shows us briefly how they work and explains the materials that they are typically used to characterize such as nanoscale electronics, nanodots, nanowires, nanotubes, electronics, semiconductors, superconductors and spintronics. 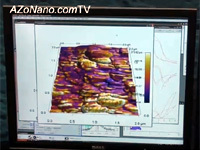 David Faddis from Nanosurf shows us through the FlexAFM, a full featured atomic force microscope designed for research applications. 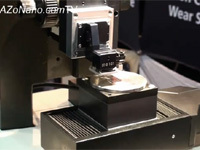 It features a modular design and flexure stage which minimizes background movement. The design also includes a decoupled z-piezo and a unique interchangeable nose cone allowing it to be used in either air or liquid media for biological samples. 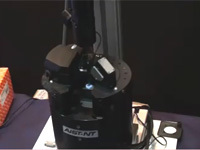 In this video we learn about the SmartSPM from AIST-NT. We see a demonstration of how easy the SmartSPM is to set up, and in the space of a few minutes have even taken a series of measurements. 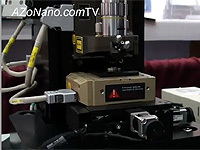 Nicholas Randall from CSM Instruments shows us the NHT2 Nanoindentation tester which combines a nanoindenter and AFM in one compact, affordable desktop unit. The unit has been re-designed and now features liquid compatibility, a wider load range and multi sample capability. 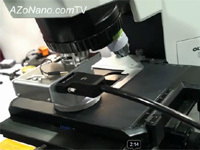 It also does away with the need for an optical microscope by using two video cameras, proving a side view and a top view.